"We’re bad at balancing risks, we humans..."
George Johnson's most recent Raw Data column will be cheered by nuclear power advocates long exasperated by the widespread fear mongering about the health impacts of radiation. Relatedly, there's sure to be some gnashing of teeth at a "data" column daring to use the "hormesis" term. This spring, four years after the nuclear accident at Fukushima, a small group of scientists met in Tokyo to evaluate the deadly aftermath. No one has been killed or sickened by the radiation — a point confirmed last month by the International Atomic Energy Agency. 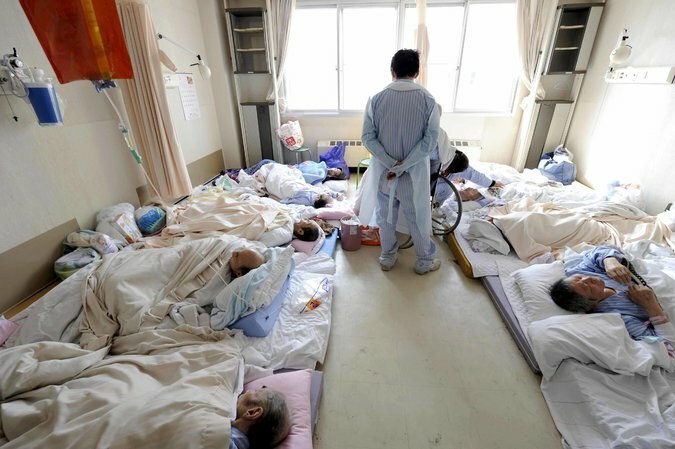 Even among Fukushima workers, the number of additional cancer cases in coming yearsis expected to be so low as to be undetectable, a blip impossible to discern against the statistical background noise. But about 1,600 people died from the stress of the evacuation — one that some scientists believe was not justified by the relatively moderate radiation levels at the Japanese nuclear plant. How the added effect of the fallout would have compared with that of the evacuation depends on the validity of the “linear no-threshold model,” which assumes that any amount of radiation, no matter how small, causes some harm. Dr. Doss is among scientists who question that supposition, one built into the world’s radiation standards. Below a certain threshold, they argue, low doses are harmless and possibly even beneficial — a long-debated phenomenon called radiation hormesis. Recently he and two other researchers, Carol S. Marcus of Harbor-U.C.L.A. Medical Center in Los Angeles and Mark L. Miller of Sandia National Laboratories in Albuquerque, petitioned the Nuclear Regulatory Commission to revise its rules to avoid overreactions to what may be nonexistent threats. There is more here at stake than agonizing over irreversible acts, like the evacuation of Fukushima. Fear of radiation, even when diluted to homeopathic portions, compels people to forgo lifesaving diagnostic tests and radiotherapies. We’re bad at balancing risks, we humans, and we live in a world of continual uncertainty. Trying to avoid the horrors we imagine, we risk creating ones that are real. A comment on Facebook notified me of a related research article recently published by PLOS One (PUBLIC LIBRARY OF SCIENCE), Was the Risk from Nursing-Home Evacuationafter the Fukushima Accident Higher thanthe Radiation Risk?